If you are a new homeowner keen on decorating your interiors or interested in doing up some renovation, or just want to put back some life into an unexciting room. Then, Carpets are your one sure shot bet to get the job done. Be it individual rooms or the house as a whole, adding a right coloured carpet completely changes the tone and feel of the place, elevating the whole experience of that living space. But, choosing the right carpet for the right room is a tedious task, what with all the mind-numbing choices to choose from. 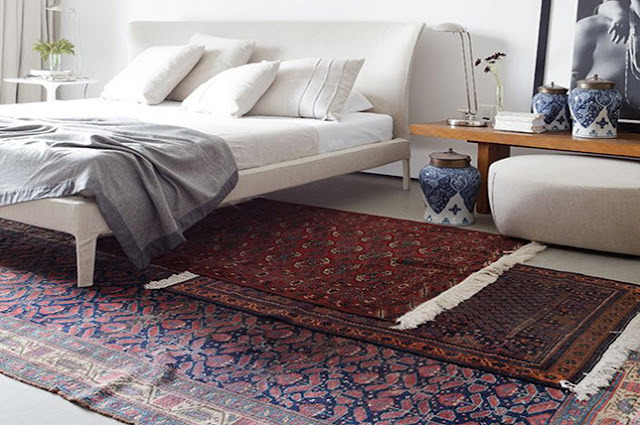 Should you go with a plush cut pile carpets or Berber loop pile carpets for your bedroom? Which is the best carpet fibre for the stairs - is it a polypropylene carpet or Nylon carpet? So many considerations to make. Moreover, carpet being a big investment option for sprucing up your home or business establishment, it would be prudent to have some knowledge of the make and materials of the carpet. So you can make an informed choice. We have compiled info based on the type of fibre, use of the carpet and the strain it will have to undergo, types of piles and their best-suited usages etc to help you navigate your way through a carpet store and learn signs when the salesperson takes you for a ride. Carpets are made of many different types of fibres. 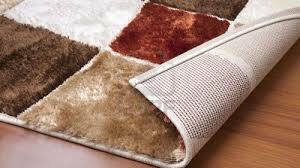 Based on the purpose, usage and the need for the carpet one can choose from a few varieties. Carpets made of wool are of high-quality, comfortable and durable. Warm under the feet. Kashmiri Woollen carpets are amongst the cherished possessions of many. These are mostly hand-knotted carpets by artisans, who have been weaving carpets for generations. Natural materials fibre are expensive. To increase durability 80% wool and 20% synthetic fibres are used. The most commonly used fibre for carpeting well-trodden paths. As it does not wear out easily it used mostly in commercial and business setups. Polypropylene carpets are constructed in Berber - loop pile style, and can also be used to construct cut-pile carpets for commercial purpose. Polypropylene carpets are extremely stain resistant, but not oil. The artificial outdoor grass carpets are nothing but polypropylene carpets. Polyamide or Nylon Carpets are man-made fibre carpets, they come in varied hues not available in woollen carpets. They rank high on stain resistant and durable carpet fibres. Best suited for homes with pets and kids, and for high footfall areas as well. The carpets yarn wool stand upright and it ends are cut loose. Cut-pile carpets are called Saxony carpets and they are probably what you would imagine when you think carpets. The plush/ straight cut-pile carpets have a velvety look and give a luxurious, formal look to any place, but show footmarks. They are a good choice for bedrooms. The twisted cut-piles are with yarn thread twisted in many directions are hardwearing and hold their shape for long. Mostly suited for living rooms and stairs where the footfall will be high. Long yarn piles twisted to give a cosy feel to the room, difficult to use this carpets with pets running around, but kids would love the soft textured feel under their skin. Berber carpets or loop-pile carpets as the name goes is yarn is woven in loops. The loops could be all even, or a combination of high-low loops giving a textured with varying patterns. The loop-pile carpets are best suited for high traffic places like stairs and living rooms. The new trend in carpets are the combination pile carpets. It is a combination of cut pile carpets mixed with loop pile carpets to construct a carpet with a distinctive pattern formed by the cut pile parts of the carpet. Still not sure what you need and want expert advice on the right carpet for your purpose, Floor deal in Bangalore with 20 years of expertise in the carpet business is your safest option to choose the right carpet for you. Floor deal specialises in providing customised carpets per you choosing - customization in colour, fibre, patterns etc. Floor deal offers a variety of products for every type of flooring requirements, wood panelling, vinyl floors, wall to wall carpets, sports flooring etc. All installed and serviced by experienced professionals aptly named Masters of Customization.